Inspired by the Maine Winter Sports Center, a small Montana community formed the Seeley Lake Regional Outdoor Center for Kinetic Sports (ROCKS) in 2010, and this spring, ROCKS will file an application to build a new Seeley Lake nordic-ski venue. If all goes according to plan, the area would be one of six venues with D-category homologation. Common Training Mistakes: Exposed at West Yellowstone! A master skier learns a valuable lesson about aerobic training while blowing out the early season cobwebs at the start of the season in West Yellowstone, Mont. Are your a winter warrior but springtime sally when it comes to skiing? This author asks the question that several not-so-elite skiers might be dying to ask: are rollerskis right for us mortals, and if so, how do we use them without risking road rash? One author shares his uneasiness with training plans and investigates CXC Academy, an online subscription service that provides nordic tips and regimens for skiers of all ages. “You will go faster when you want to go faster and it will be a lot more enjoyable,” founder Yuriy Gusev says. 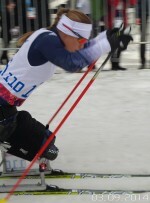 The U.S. Paralympic Nordic skiing team closed out the 2014 Paralympics on a high on Sunday as Oksana Masters won bronze in the women’s 5 k sit ski cross-country race at the Laura Cross-Country Ski Center. 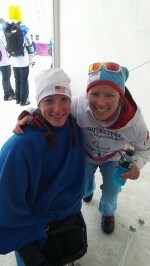 “I am in complete shock and amazement,” says Masters, the most successful U.S. Paralympic cross-country female. 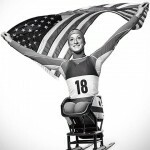 Tatyana McFadden rose to the occasion yet again to notch the second U.S. silver medal in cross-country skiing at the Sochi Paralympics, becoming the second woman to do so in the last 20 years. Just 0.1 seconds back from gold, the Russian-born McFadden medaled in front of both her adoptive and birth mothers. The 2014 Winter Paralympics officially kick off Friday with the Opening Ceremony in Sochi, Russia, and the Canadian Para-Nordic team is raring to be one of the most dominant teams at the Games, shooting for third in the overall medal count. At the 2014 Winter Paralympics from March 7 to 16 in Sochi, Russia, nordic skiing and biathlon will account for more that half of the available medals. How will the United States fare in the medal chase? The team’s high-performance director, John Farra weighs in. One of the most successful men on the U.S. Paralympics Nordic Team last season, Lt. Dan Cnossen cut right to the chase when asked about his training this summer and fall. “We’re going to find out real quick when I go up against the Russians,” Cnossen says. So far, he’s placed ninth and 11th at the IPC World Cup in Canmore. A lot of people might not know who Emil Johansson is. To SuperTour spectators and most of the 200-plus racers in West Yellowstone on Friday, he was an unknown: a Swede racing in the green suit of his home club IK Jarl Rättvik. An exchange student at the University of Colorado in Boulder, he’s not part of the team. It was hard to know what he was capable of. In May, Paralympian Nancy Stevens called up a former teammate, her guide Tony Neaves, 15 years after their last race together. Did he want to join her in West Yellowstone, Mont., for the biathlon race before Thanksgiving? He agreed, and the two came out of retirement together on Wednesday. Selected to head up the U.S. Paralympics Nordic Program just three years ago, John Farra is already thinking medals for his team at the Sochi Paralympics in March, and believes they’ll be on par with the Russians by the 2018 Games.